Understand media habits and contraception purchasing behaviors among women of reproductive age. 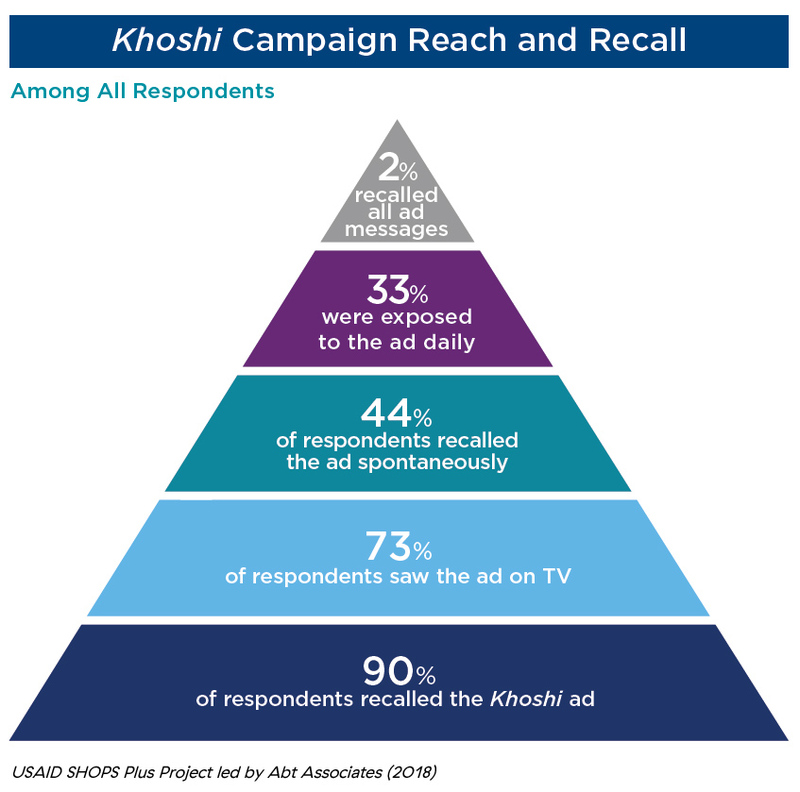 Measure the reach and recall of the Khoshi advertising campaign and its influence on intention to use contraception. Identify social and behavioral barriers to contraceptive uptake to inform future marketing and behavior change campaigns. Tess Shiras presented this poster at the Population Association of America Annual Meeting on April 26, 2018.